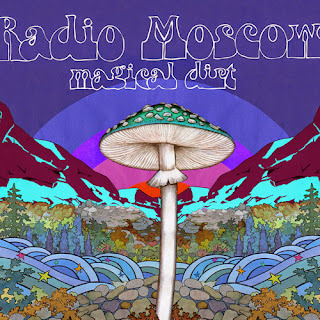 When You Motor Away...: NEW SONG: Radio Moscow - "These Days"
NEW SONG: Radio Moscow - "These Days"
Radio Moscow is back... here's a hard-stomping, heavy guitar freakout "These Days" which will be featured on their next album, Magical Dirt. It's been a couple of years since their last album The Great Escape of Leslie Magnafuzz (WYMA review here), and Parker Griggs' voice and the psychedelic guitars sound better than ever. Wild Cub cover Chvrches - "The Mother We Share"